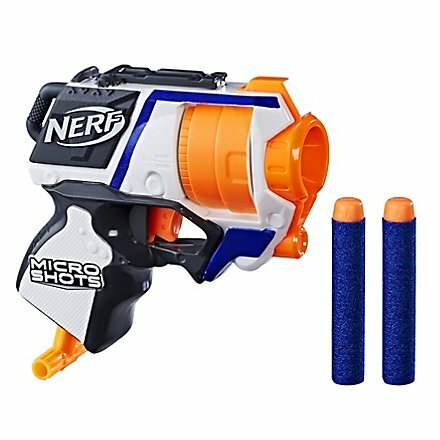 The popular revolver as a mini version! 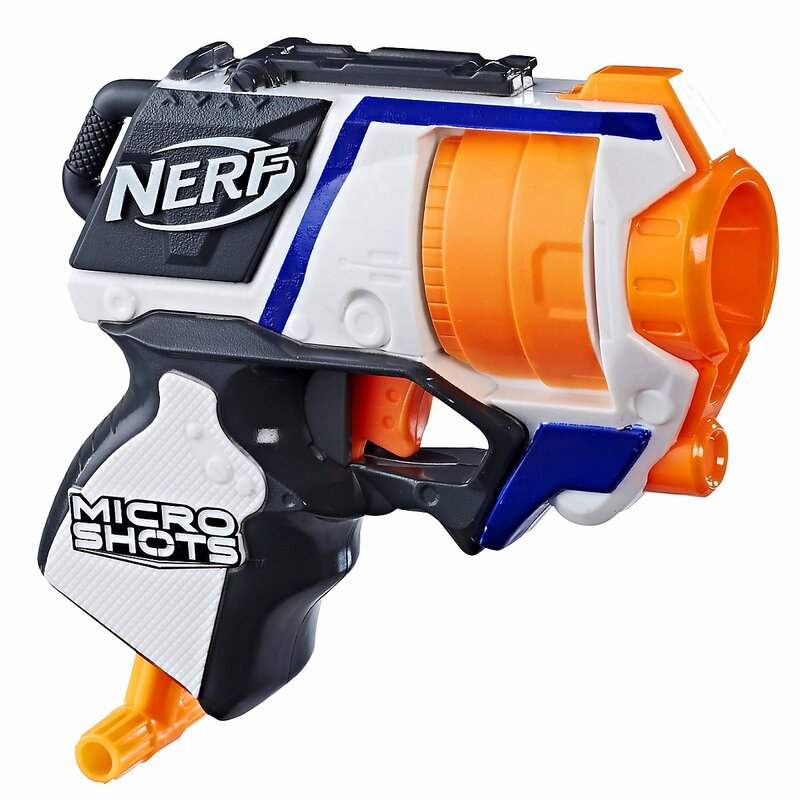 The Nerf Strongarm is available here as mini version of the big sister for collectors! 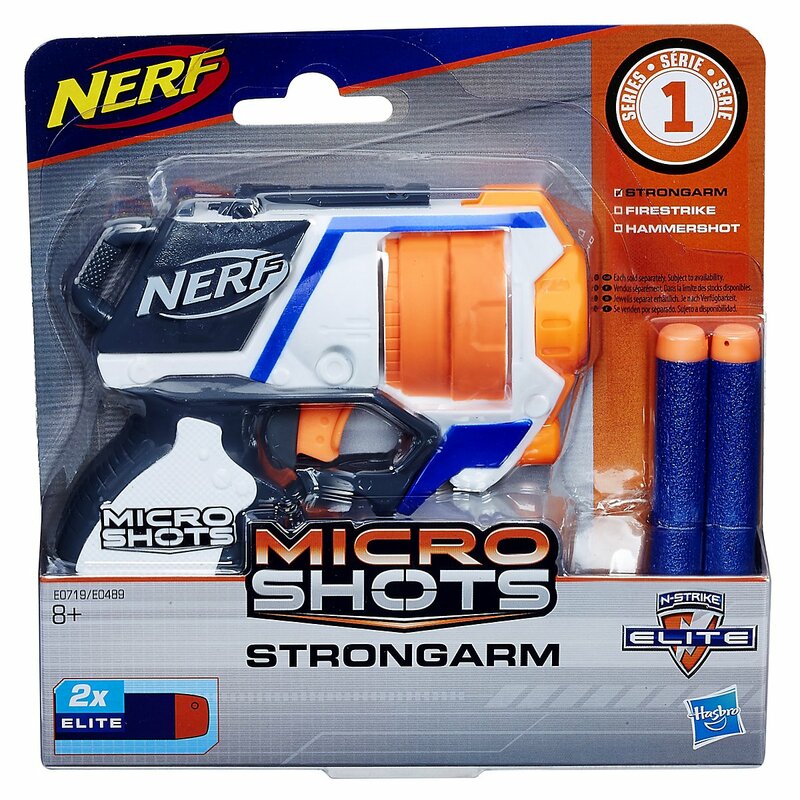 The Strongarm belongs to the absolute Blaster-Evergreens and as a reward for special services Hasbro has now given the Strongarm a small version. The Strongarm now takes up almost no space at all when fighting hordes of undead and office battles, nerf battles and of course in Larp use. One can and should carry two small Strongarms at the same time. Smaller is simply more agile! Nothing has changed in design - luckily! It is now just super compact. In addition to the blaster 2 Elite Darts are included.